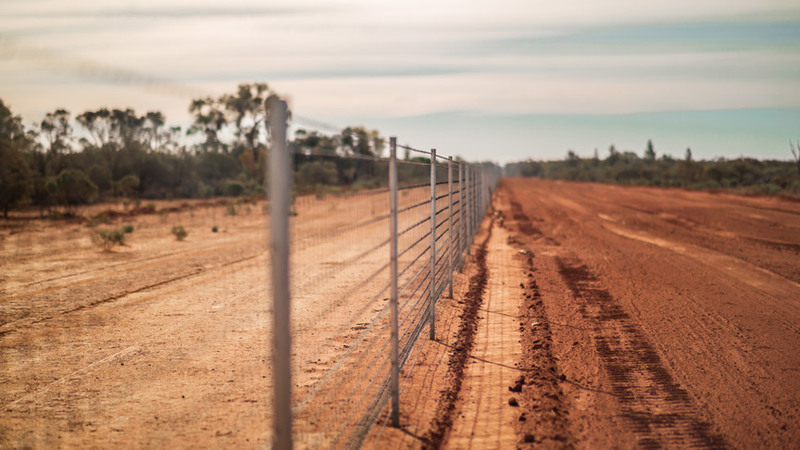 Clipex® is one of Australia’s leading exclusion fencing suppliers. We made exclusion fencing a viable option back in 2008 with the introduction of our award-winning patented Clipex® clip design. This makes it possible to erect exclusion fencing without high erection costs. We also take great pride in our BlackMax™ and MaxLife™ wire coatings. These coatings last up to 6x longer than standard hot dip galvanised coatings. Don’t settle for a paperclip fence and join the thousands of farmers who are switching to Clipex®. 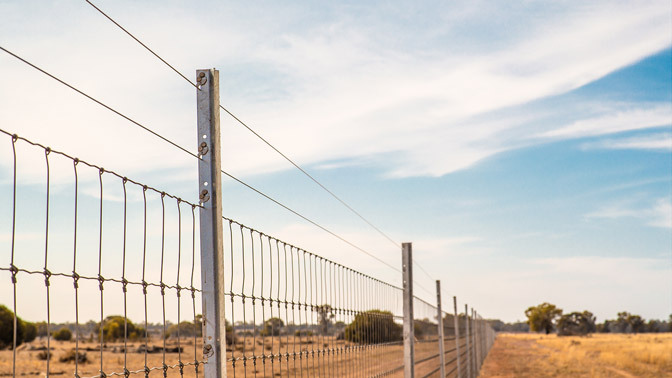 Clipex® exclusion fencing has been specifically designed to increase production capacity by excluding unwanted animals from your stock or pasture. S-FENCE™ was specifically designed to perform better than hinge joint, whilst being a cost effective solution. S-FENCE™ is truly the best value knot you can get. The Clipex® TuffKnot™ is made with high tensile wire with independent knots, separate to any line wires, ensuring you are getting the most strength out of your wire. All of our TuffKnot™ range uses the latest wire coating technology exclusive to Clipex®. This wire type does not have an apron. A hinged apron can be added with our HJ6-50-15. Our hinge apron is made separately from the the main body of the wire. This enables the hinged apron to move freely without effecting the main body of wire. The hinged apron is not clipped to the main body, but is bonded by a hinge joint connection. The radius apron is one body of wire from top to bottom. This enables the wire to form a radius or curve along the ground. The wire is not a separate joint but one continuous body of wire, which means there is tremendous force holding the wire to the ground. Using a high quality core wire combined with our MaxLife coating, these barb wire are sharp, strong and crucially will last the test of time. We are proud to introduced our BlackMax™ and MaxLife™ wire coatings, lasting up to 6x longer than Hot dip galvanised. Clipex Stayfast™ Posts and Stays are designed to be fast and efficient to install and to ‘stay fast’ for the test of time. Our posts and wire are specifically designed to match each other. Both Clipex® wire and Clipex® posts do not suite other manufacturers. We have everything you need to build Australia’s best fences! Our Clipex® Hinge Joint Wire is designed to be used in conjuction with our exclusion fencing range, providing ground level protection. Our Hinge Joint uses our best in class BLACKMAX™ 600 wire coating. With two differant sizes for either standard fencing or Exclusion fencing, we have the strainer right for you. Clipex® post cap insulators are made from white UV resistant plastic for long lasting durability in Australia’s tough conditions. Post insulator caps come in two sizes, suiting either Clipex® Standard posts or Clipex® Beefy™ posts. Australian Made Universal Petrol Post Driver Powered by a genuine Honda motor. The Universal Petrol Post Driver, all the power, all the drive, none of the effort. Work smarter not harder with the original air driven Picket Post Driver and revolutionise your fencing procedures.